Offer in Compromise, Do You Qualify? Michigan Tax Resolution Lawyers Can Help! Offer in Compromise – Support for Individuals in Michigan and Beyond! 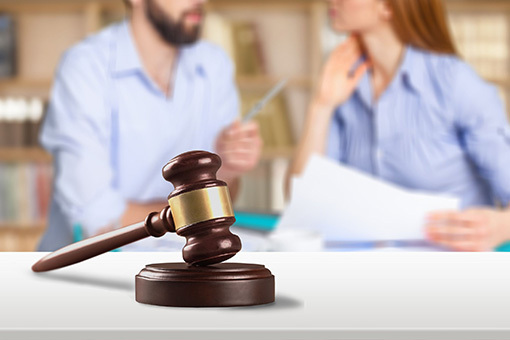 Our Tax Resolution Attorneys are experienced in all cases involving tax resolution, tax dispute, and general concerns relating to IRS tax and debt relief. Our lawyers are extremely knowledgeable in the local, state, and federal tax code, and can help you today! Our legal experts work with clients throughout Michigan, Oakland County, Wayne County and Beyond. If you have an IRS tax concern please contact us immediately. Let’s get started rebuilding your financial security. Contact our Experienced Law Firm For Help With an Offer in Compromise Matter. Offer in compromise allows taxpayers to come to an agreement to pay less than what records say they owe. Of course, not everyone is granted this kind of settlement; to earn approval for an offer in compromise, one must prove that they are indeed unable to pay their full debt and if so, they must pay what they can in a lump sum or periodic payment. Do You Qualify for Offer in Compromise? Get a Free Conslultation with a Michigan Attorney Today! The IRS considers multiple factors when settling with taxpayers, such as their ability to pay, and yearly salary. Their online pre-qualifying test asks questions related to tax history and current finances, such as whether or not they are in a bankruptcy proceeding or if they are self-employed. The questionnaire has six sections, but the IRS has three common reasons that warrant a tax cut. Doubt as to liability: this implies that the government has unfairly overcharged the person requesting the compromise. If there is enough evidence that their tax records are incorrect, a settlement is allowed. Doubt as to collectability: doubt as to collectability states that what the individual owes is more than their income and other financial assets. Effective tax administration: In this case, the IRS and citizen do not deny that the amount is correct, but paying the fee would be a significant financial burden. The situation must prove to be extenuating. Once someone proves that their circumstances classify as one of the above, they need to apply for their payment plan. Fees may apply depending on reasons for applications. If accepted, the individual will need either pay their taxes via a lump sum or periodic payment. Lump Sum Cash Offer: The money for this plan is paid in up to five installments in five months. Payment for this fee is twenty percent of the offer’s amount, which must be sent with Form 656. Periodic Payment: This is paid in at least six installments in two years. The fee needed for this is the price of the first of the six or more payments along with the 656 form. Offers in compromise can save a business’ or individual’s bank account and are researchable and attainable. Because requesting an offer of compromise has a fee and gaining approval takes work, carefully consider before speaking with the IRS. Keep in mind; these are just general guidelines on the subject of offers in compromise, and laws may vary from state to state and country to country.